The year 2016 has become fruitful with pleasant surprises for us. InstaForex was presented with one more prestigious international award, the IAIR Awards by the famous Italian financial IAIR magazine. 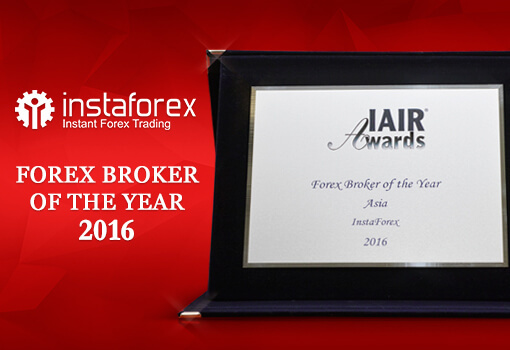 This time, InstaForex was recognized as Forex Broker of the Year Asia and that again confirms the great popularity of the brand among traders of the Asian region. The award is the result of the responsible work of our team and the best quality of the services provided. This is the fifth time InstaForex has won the IAIR Awards and we hope to be awarded again. For the past several years, we have been improving the trading conditions and our services still remain the most favored among traders of the Asian region. Thank you for your active participation in the company’s history! We promise to keep pleasing you with beneficial trading conditions, bonuses and contests and will do everything that it takes to make trading enjoyable for you. Jaguar-number 51287 was fixed on October 30, 2016. We identified trading account which was the closest to Jaguar-number. So the winning account is 8751332, it belongs to Carlos Miguel Nascimento Rodrigues from Portugal. The winner could choose between the main prize – new premium sport car Jaguar F-Type and $130,000 to be credited on trading account. Carlos chose the money prize. 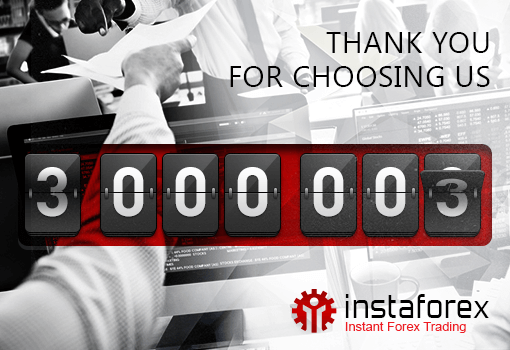 InstaForex sincerely congratulates Carlos with the victory and wish him a successful trading on Forex! 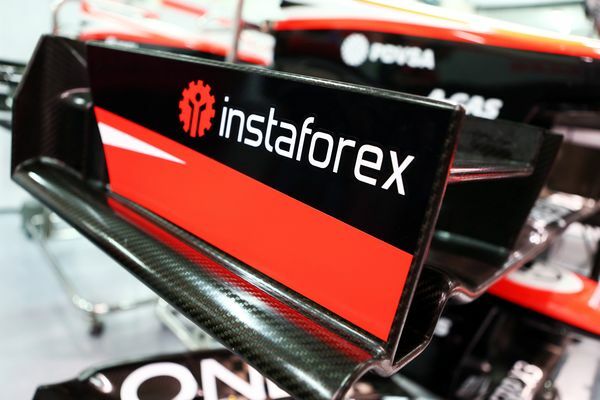 In spring 2013, InstaForex became an official supplier of the Marussia F1 Team, a participant in the prestigious and challenging FIA Formula One World Championship. InstaForex, one of the world leading brokerage companies on the currency market, supports the aspiration for high achievements and an active life style. That was the reason for establishing a cooperation between the young and promising MarussiaF1 Team and InstaForex. 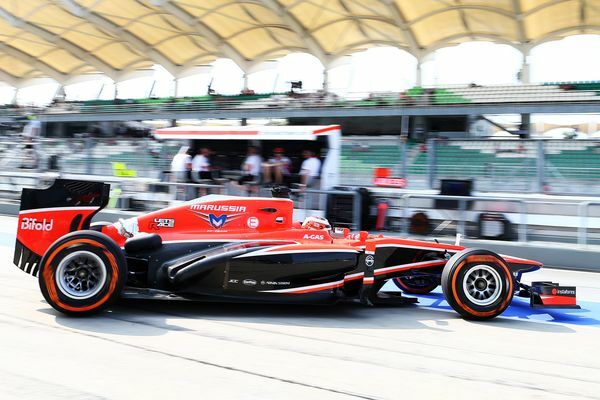 The Marussia F1 Team has already demonstrated the spirit of rivalry and drive to challenge the more established teams. A goal that aligns with our own. Partnering with the Marussia F1 Team, continues a good tradition of motorsports associations started by InstaForex – back in 2011 the company co-operated with InstaForex Loparis Team, the participant of the international Dakar Rally and the winner of the Silk Way Rally 2011. Instaforex branding can be seen for the first time on the Marussia F1 Team cars that will compete in the 2013 Formula One Petronas Malaysia Grand Prix that takes place on Sunday 24th March. We know that the Marussia F1 Team will show its mettle and try and achieve its desired goals. Small is beautiful. That’s certainly the premise of the Marussia F1 Team, a young and ambitious Anglo-Russian challenger competing in the FIA Formula 1 World Championship. Virgin Racing joined the Formula One grid in 2010. By 2011 sponsor Marussia had purchased a shareholding in the team and renamed it Marussia Virgin Racing. 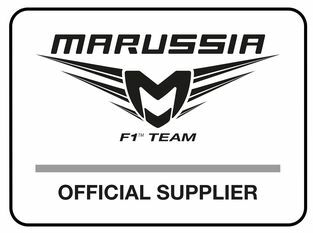 In 2012, the team became known as the Marussia F1 Team – the first Anglo-Russian Formula 1 Team. The operation is now based in a new UK HQ and following significant investment is aiming to challenge the more established teams in 2013. 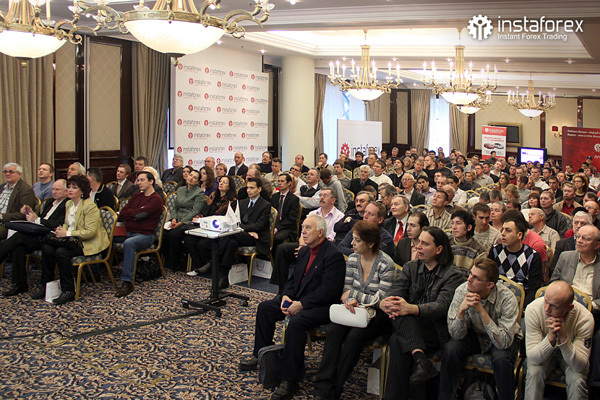 InstaForex Company has summarized the results of the first InstaForex conference for existing and potential customers that took place on November 10, 2012 in Moscow. A registration for this large-scale event ended few weeks before its opening and gathered more than 300 people at Ritz-Carlton Moscow Hotel on Red Square. The event was attended by traders not only from Moscow but also from other cities of the country, which made the meeting one of the brightest Russian Forex events this year. During the conference day leading experts in the field of currency trading delivered their reports: Stanislav Zelenskiy, Nadezhda Zhyzhko, Sergei Belyaev, Gleb Kabanovs and Viktor Pershikov. Informative presentations on various aspects of technical analysis were met by the audience with great interest and led to a number of additional questions. The presentations were followed by a lively debate over hot topics raised by the speakers and did not stop during the complimentary coffee break organized by InstaForex Company. Between the presentations the guests of the event took part in prize draws for bonus accounts and other gifts totaling $5000. 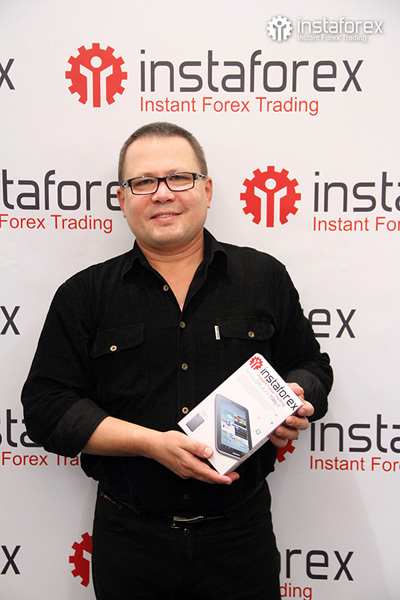 In addition, the visitors got $50 on their deposit as a present from InstaForex Company. 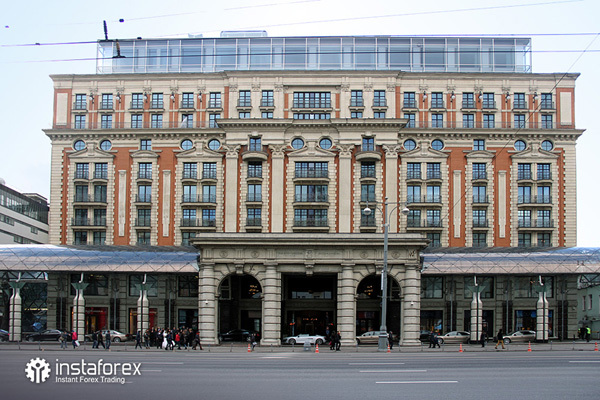 InstaForex First Conference in Moscow 2012 brought effective results and made it possible to actively discuss the problems of currency trading in Russia, to strengthen professional relationships and establish new partnerships. The event contributed to the professional development of the participants. InstaForex Company thanks everyone for their interest and activity during the conference. We look forward to seeing you at the conference next year! You can find a photo report here.